Can anyone refer me to a post or something more detailed than Snyder's or Lang's catalogs to identify 7 spark and/or throttle levers that I have. If they're not for a 26 or a 27, I don't need them. Here's a post discussing the throttle and spark lever ends. Only thing special with 26/27 among the nickel era cars would be for the cars outfitted with a Vaporizer - mostly 1927 models - they would have the hole for the throttle arm rivet higher up, since the throttle link went over the head instead of through the engine. Some cars also used a clamp on the upper throttle rod to attach the vaporizer carb linkage to. My '26 Tudor had that type of arrangement. It was an early Dec. 1925 production car. I'm not sure if it was a factory item or dealer conversion. I have replaced the vaporizer with an NH, and donated the linkage to another T enthusiast. OK, I am aware of the Vaporizer throttle rod going over the engine; I have two of them and they are easy to recognise since they are so straight. The main ones that I am having trouble identifying at timer rods. Roger, I don't know if I used the wrong terminology or if you misunderstood my question. Its not the spark and throttle rods IN the steering column; its the rods that connect from them to the timer or carburetor that I am having trouble identifying the year and usage of. Are you asking about the rod or the lever that is riveted on? Except for the design of the lever at the top the only real difference is the early rods used 2 rivets to hold the lever on the shaft and the later ones used 1. The rods length should be about the same for all years. ? 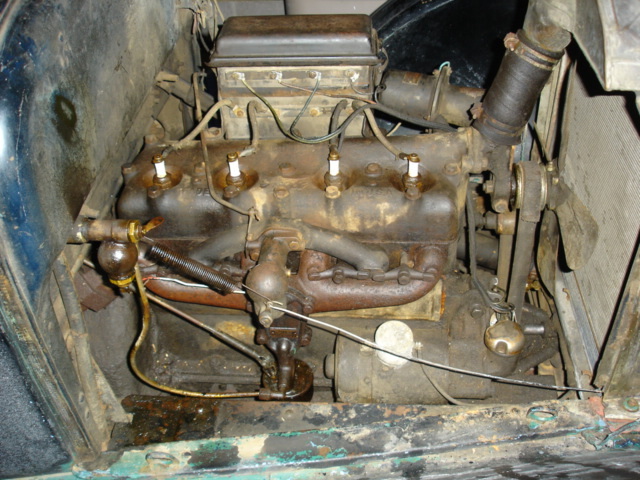 The timer rod is a bit longer for the '26 - '27 and the throttle rod has a pronounced "V" bend in the center - the earlier throttle rod has a slight bend on one end. 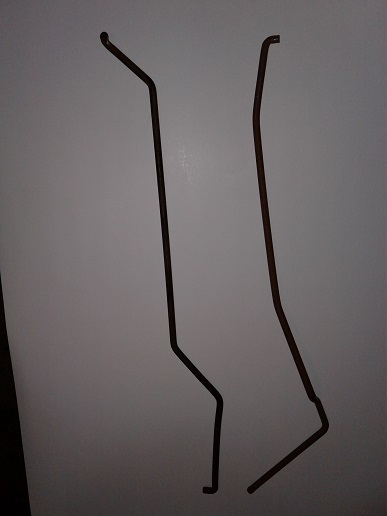 OK, T parts experts, here are two pictures of the rods that I am trying to identify. I believe all of them in the first three photos, to be throttle control rods to the carburetor. The single rod in the last photo, appears to be a timer control rod. 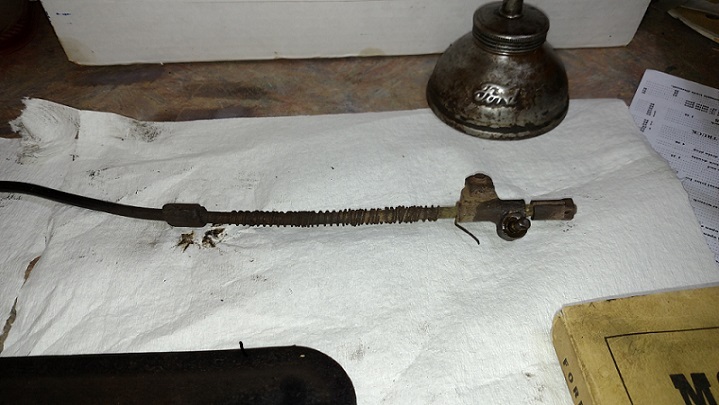 Notice the rods in the first photo, have raised ridges just above the cotter pin hole to keep the rod from dropping too far from the cotter pin. Here are two more throttle rods. The single rod in the last photo, is a timer rod, if I am correct. Not sure about the top two, 26/27 vap carb (? ), the bottom one is timer. 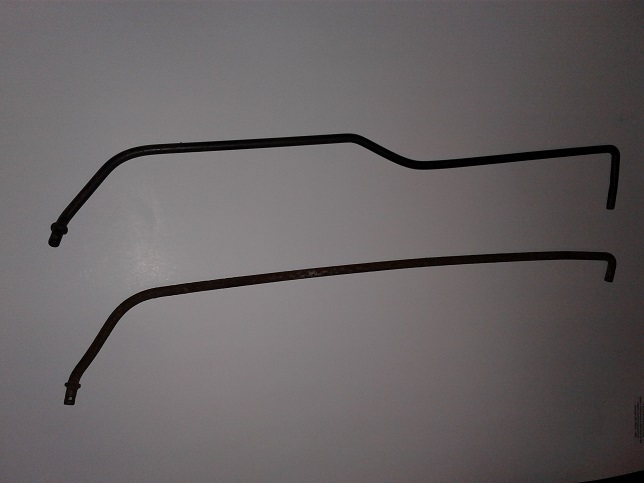 The next two look like common throttle rods with some bending the rest maybe for use with a clip on type distributor. Top left photo - top is ??? - bottom is Vaporizer. Top right photo - possible "bent out of shape" '16 - '25 throttle rods. Second photo set - not Model T ! Bottom is commutator, but what length ? Length determines year. Thanks to all. Steve, I have two 26-27 vaporizer rods which I will post photo of. One is NOS that I got from Bob's Antique Auto parts and the other is an original that I pulled with a motor from a rusted 27 TT truck. 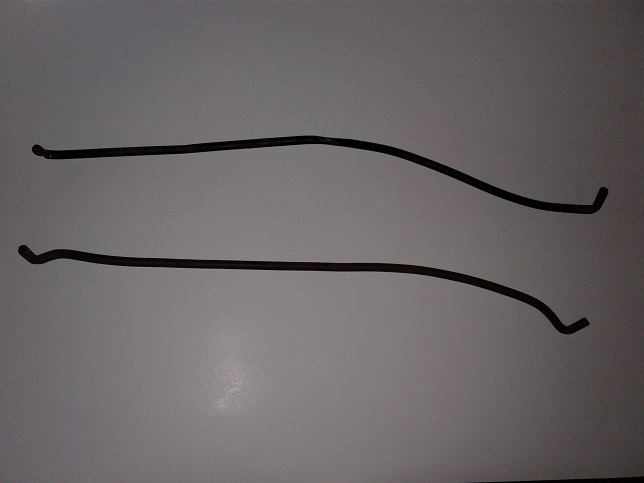 Both are bent exactly identical, and both are different from the bottom rod in the first picture. The rod in the picture has a bend in it which is difficult to see and separates it from the other vaporizer rods. Please do - I also have an original Vaporizer rod with the collar and is bent like the bottom rod on your top left photo. 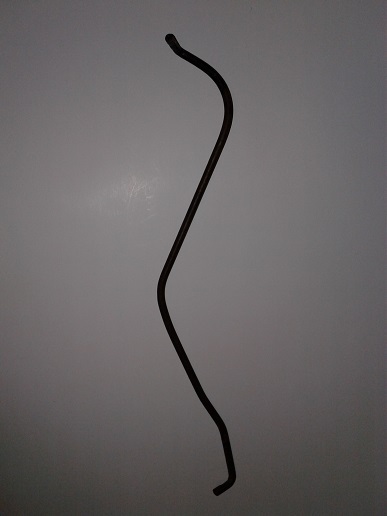 This is the throttle rod that was on my '26. I haven't seen another like it. The steering column end has a cast lead connector that holds the lever pin and one end of a spring. Next to the block is another lead casting that holds the other end of the spring. The nut on the far right adjusts spring compression, I assume for throttle return. Has anyone seen one of these? Mark, does your T have a foot accelerator pedal? The part you have pictured looks like the bottom end of a Williams Jr. accelerator, operated by a cast aluminum pedal mounted on the floorboard. If the part, pictured, does not have a flexible cable operating the rod inside the spring, you must have an aftermarket accelerator part. After market foot-feed for sure ! I don't have a foot operated pedal. The rod was too short to be a standard rod but some dolt bent the carb linkage to fit. I have a correct rod coming and this is being scrapped. Thanks for the input.